The winter season is here, and with it comes cold weather and school break. 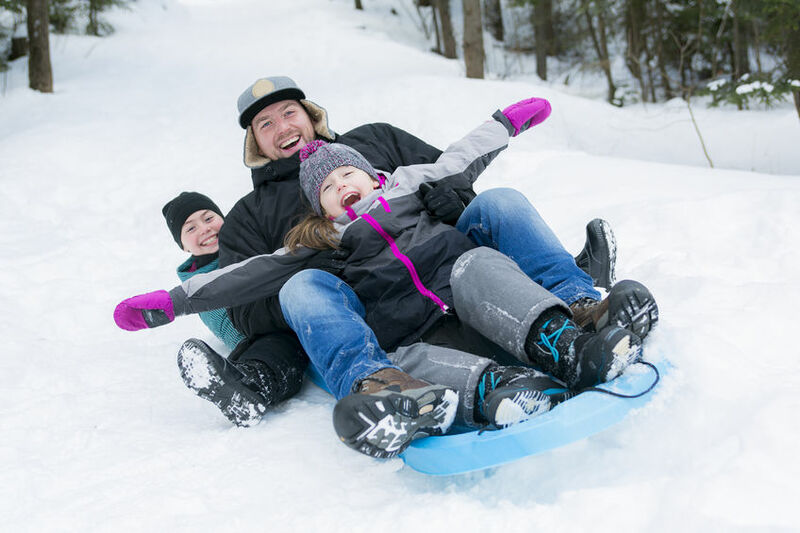 Whether you are traveling somewhere during this time of year or staying home, you should take some basic precautions to stay safe this season. Since flu season is here and in full force, you can take some extra steps to help prevent yourself from getting sick. Wash your hands after sneezing or coughing, even if you did so in your elbow. You should carry hand sanitizer and disinfectant wipes with you for quick ways to clean your hands and surfaces. Also, try refraining from touching your face if you come in contact with unclean surfaces. In addition to good hygiene, maintaining a healthy diet and frequent exercise will help boost your immune system. You should make it a priority to get the right amount of sleep to give your body time to rest and recover. If you do catch the flu this season, be sure to contact a medical professional right away to get proper treatment. As you might have heard, flu season is among us. You might not have caught the flu for the last few years, but even the best of us aren’t always immune. Catching the flu can lead to missing days or weeks of work, and possibly spreading it to your coworkers or family. For those with serious health conditions, getting the flu can mean more serious consequences. We can all do our part to stay healthy and help prevent the spread of any illnesses. Experts say that getting the flu shot is the single best way to prevent yourself from getting the flu. Getting the shot early in the fall is best. The flu shot is meant to prevent you from contracting what experts believe to be most widespread that season. There are different types of shots you can get, and the health clinic you receive it from will have the information to help you differentiate between them. Avoiding people who have the flu is not an easy task, so it's best to come prepared when going out in public spaces. Often, a sick person will cough or sneeze in the open, which ejects their germs onto nearby spaces. These germs can be on anything you encounter and make their way onto you when you touch your face. There are plenty of easy ways to help prevent these germs from getting into your system. · Make it a habit to frequently wash your hands after you touch other people or surfaces. · Try to avoid touching your face if you have not washed your hands after touching someone else or a public surface. · Carry a hand sanitizer for easy disinfection when washing your hands isn’t an option. 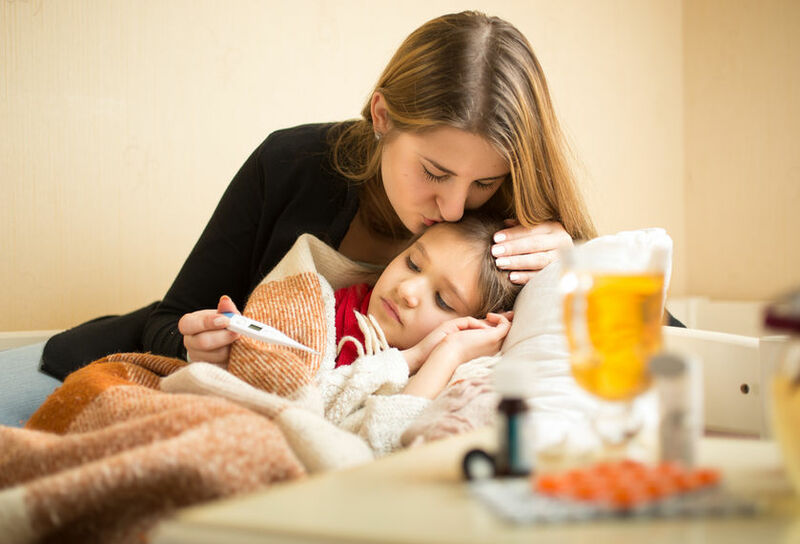 Having a sick child is stressful, especially when they have a fever. As a parent, you immediately start feeling anxiety when your child has a fever. Fevers generally mean your child is fighting off some form of illness, but how worried should you be? You don’t want to overreact, but you also don’t want to underreact and miss something important. Below are the dos and don’ts of childhood fevers to help you figure out the best course of action. Do bring a baby who is under 3 months old with a rectal temperature of 100.4 °F to a doctor immediately. This type of temperature can be an indicator of a serious infection in a baby that age. In most children, a fever is not a major cause for concern, and they will often break on their own. However, it is never a bad idea to bring your child in to be checked out by a doctor if they need antibiotics to better fight off their illness. It seems like we were all just enjoying the lazy, hazy days of summer, but Florida’s hottest season has been replaced by flu season. If you haven’t yet received your flu shot, these reasons will remind you that it’s one of the best decisions you can make for your health. 1. The Flu Is Dangerous! You might just think of the flu as an uncomfortable inconvenience that lingers for a few days and disappears, but it’s an extremely dangerous illness for the most vulnerable among us. Babies, the elderly, and those with weak immune systems aren’t just vulnerable to the flu; they are at high risk of serious and dangerous complications as a result of the flu. 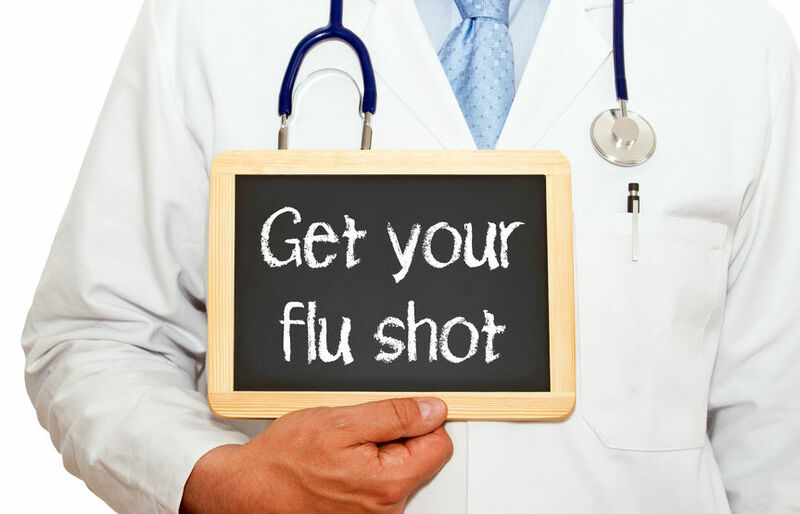 The flu vaccine is the single most effective way to ward off the flu. Just one shot is all you need to receive the vaccine, and it will immediately go to work developing extra layers of protection for your body. There are many things that women cannot do when they are pregnant or breastfeeding, but the flu shot is not on that list of restrictions. In fact, the flu shot is actually one of the best things you can do for yourself and your baby! Sore Throat vs. Strep Throat: What’s the Difference? A sore throat is an unpleasant feeling, but if it’s been lingering for a few days you might worry that you actually have strep throat. It’s important to know the difference so you can seek medical attention quickly. Here’s what you should know about the difference between a sore throat and strep throat. A sore throat, formally known as pharyngitis, is caused by minor irritation of the soft tissues in the throat. You might have developed a sore throat as a result of the common cold or the flu. 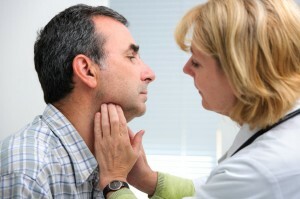 Most sore throat symptoms occur suddenly and last a few days. It’s also possible for allergies, dry air, heartburn, and polluted air to cause a sore throat. Your nose is running, you can’t stop coughing, and you feel terrible. 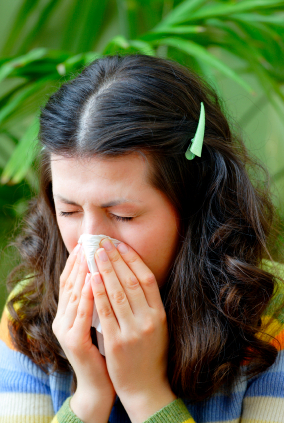 It’s fall, which means the flu and the common cold are both potential causes of your symptoms. How can you interpret your symptoms to determine the real cause of your misery? Use this guide to help! According to the CDC, the flu and the common cold are both respiratory illnesses with similar symptoms, but they are caused by different viruses. 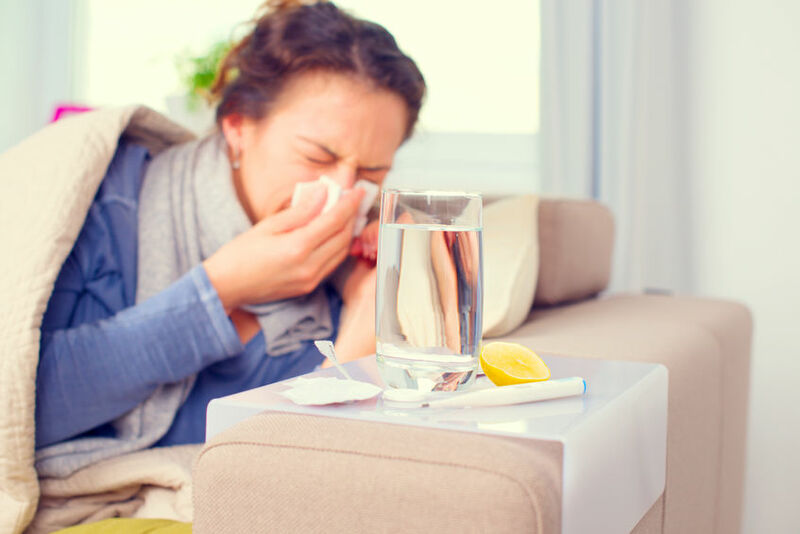 In general, colds are usually milder than the flu and rarely result in the serious health problems like pneumonia, bacterial infections, and hospitalizations like the flu can cause. Though symptoms of influenza and the common cold sometimes overlap, track your symptoms and use the guide below to determine which illness you have. The Flu is upon us ! The CDC has issued an advisory regarding the influenza virus. They are noting that the prevalent form , influenza A (H3N2) has in previous years led to more complications and hospitalizations. Over the past three weeks we are noticing a significant increase in Flu "A" patients. It is being recommended to start treatment with antiviral medication as soon as possible for patients who have the flu. It is best to start medication within 48 hours, but the sooner the better. The medication makes much more impact when started within hours. 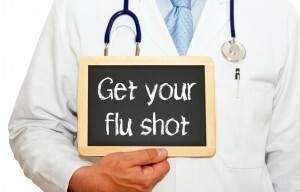 We as well as the CDC recommend to all patients if they think they may have the flu get evaluated as soon as possible. This allows us to start treatment quickly and decrease the duration of the illness and potential complications. We are here 7 days a week, no appointment needed !! Flu season is here ! It is not too late to get your Flu vaccine ! In fact, now is the time. Data shows flu activity is rising rapidly whereas only 39% of the population has received the vaccine. We see many patients every year with the flu. Suffering with influenza is not a pleasant experience, it often lasts up to a week, which means missed school or work and often spreads amongst family members. Is my sore throat "strep throat" ? Pharyngitis is an infection that causes a sore throat and pain when swallowing. It can be the result of a common cold or strep throat. The infection causes inflammation of the throat and sometimes the tonsils as well. When pharyngitis is associated with the common cold there is no treatment other than bed rest and over-the-counter medication, while pharyngitis caused by "strep" bacteria should be treated with antibiotics. While strep is most common in kids, adults can certainly get strep throat as well. Unfortunately there is no one "classic" sign that can determine whether or not your sore throat is secondary to a streptococcal infection or just a common cold. If you are worried that you may have strep throat come see us in New Port Richey ( Trinity ) or Spring Hill. Our physician will perform a complete examination and if necessary do a streptococcal diagnostic test to determine whether you need antibiotics. Is it a Spider Bite ? We have many patients who ask this very question. We often see patients who seek an evaluation due to a skin lesion that is red, swollen and often very painful. 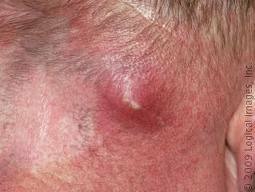 Many times the centers of these lesions look like there is a puncture wound and there is sometimes a scab and/or pus. Most often, this is not a spider bite. But we are still glad the patient has sought an evaluation, because it is usually a skin infection that needs treatment. The good news is that most insects and spiders in the Tampa Bay area are neither poisonous nor dangerous to us. Most often these swollen and painful lesions are infections caused by normal bacteria that lives on our skin and has entered the body due to a scratch, wound, or insect bite. It is not a surprise that it appears the bite is the culprit of the infection. Most often, however, the bite merely provided an opening for the bacteria to get into the skin and create an infection. Typically, these infections need antibiotics and many need additional treatment, which may include draining. Please be careful not to squeeze these infections or attempt to drain them on your own. Squeezing the lesions can cause them to burst open under the skin which may allow the pus to spread further within the body. If you are experiencing a painful lesion Suncoast Urgent Care is here to evaluate and treat it on site. © 2019 Suncoast Urgent Care Centers, LLC and MedNet Technologies, Inc. All Rights Reserved. New Port Richey FL (Trinity FL), Spring Hill FL and the surrounding areas.